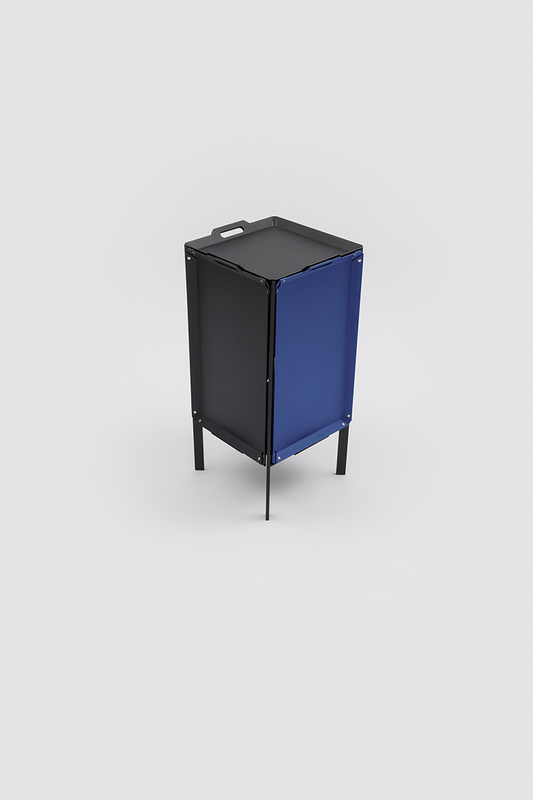 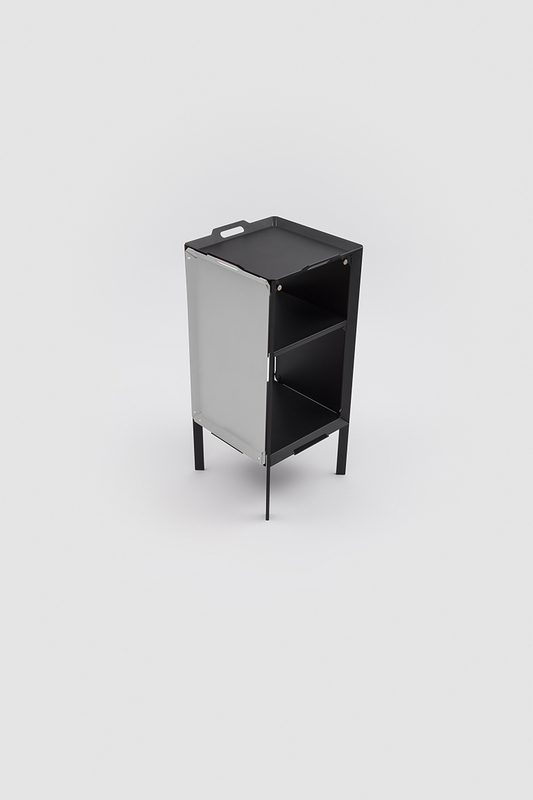 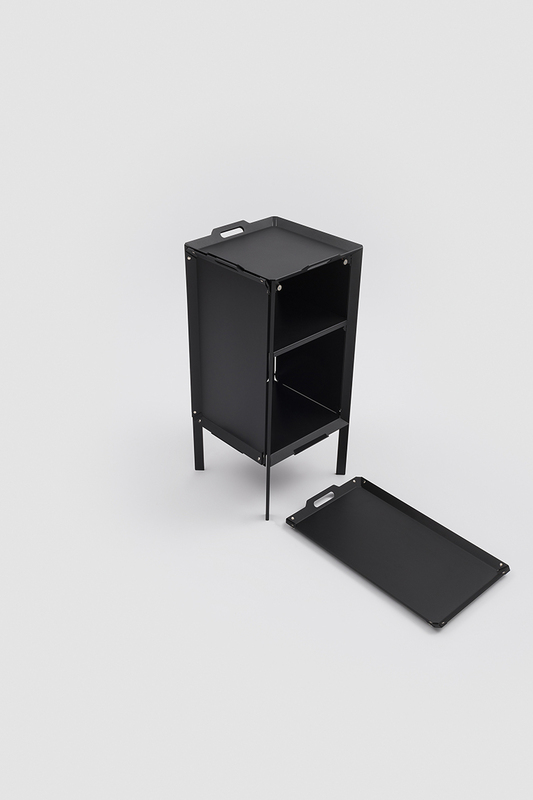 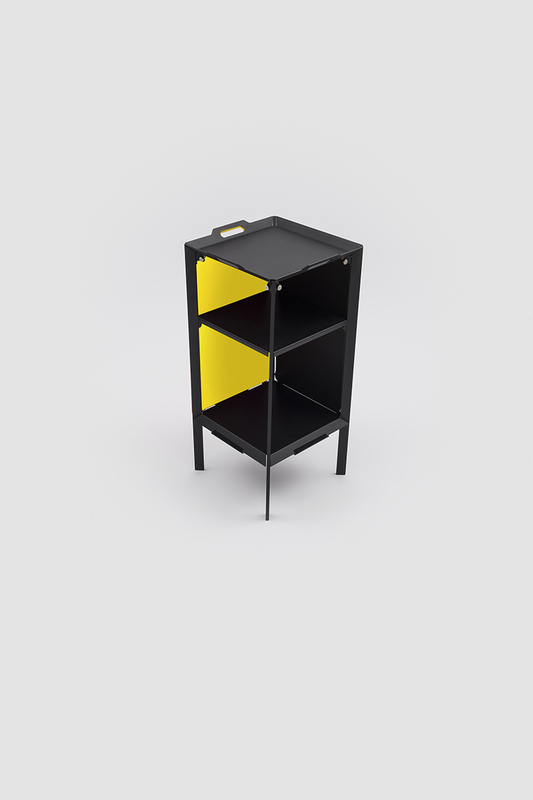 Double life is a small, transformable storage cabinet that harks back to the coffee tables of the 18th Century. 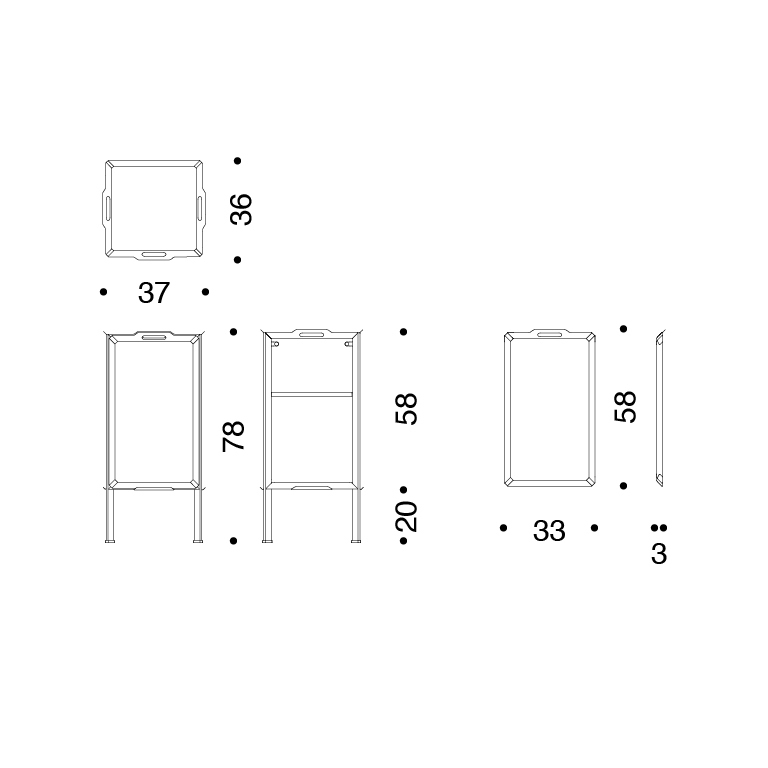 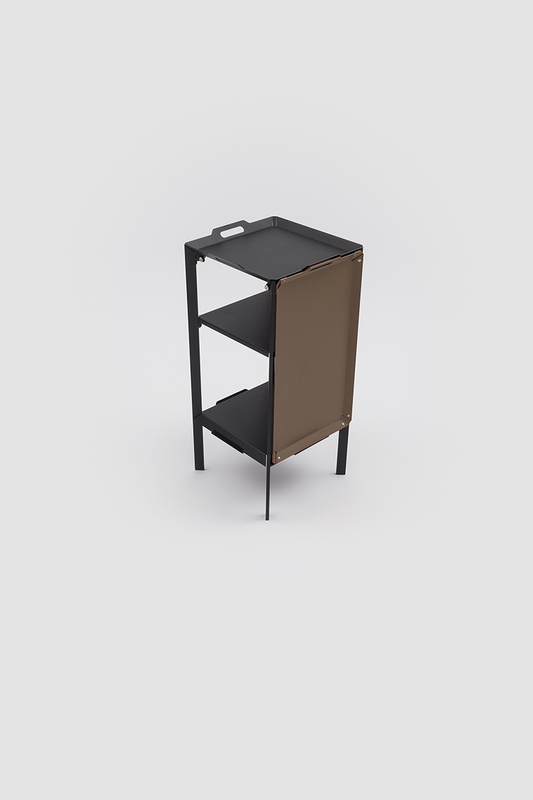 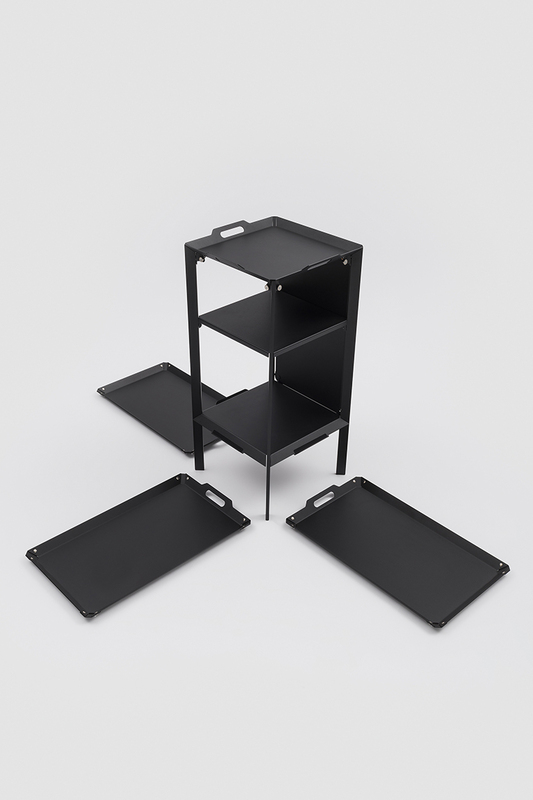 It is a simple structure with three shelves and a back. 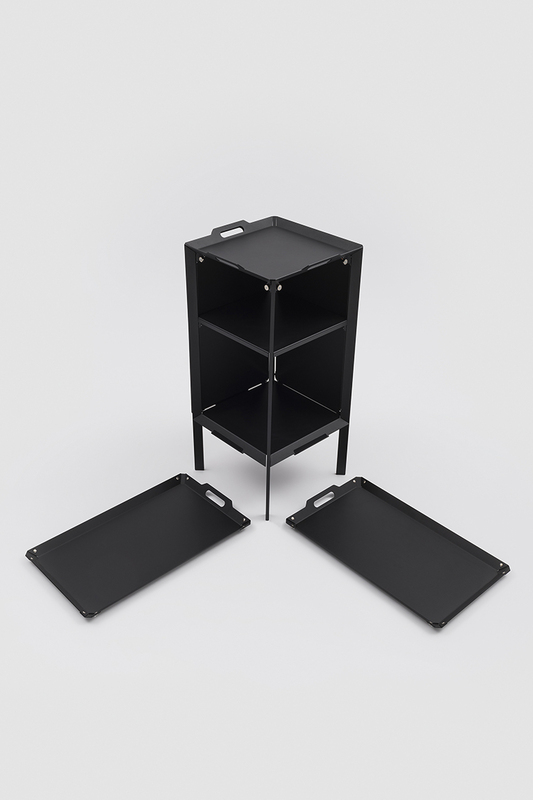 The three open sides are closed using aluminium trays that are fixed to the structure with magnetic clasps, which allows them to be removed and repositioned quickly and easily.